When it comes to Asian cosmetics and skincare, no doubt the Japanese and Korean do it better with their cutting edge technology. 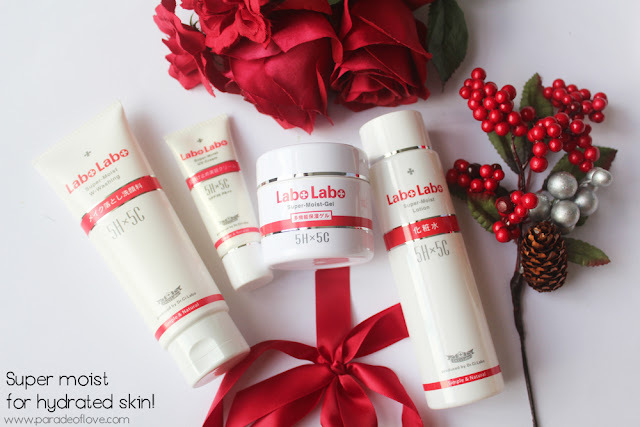 Recently I’m been on a wave of trying out new skincare products and here I have with you one of Japan’s favourite doctor’s skincare brand – Labo Labo by Dr.Ci:Labo. 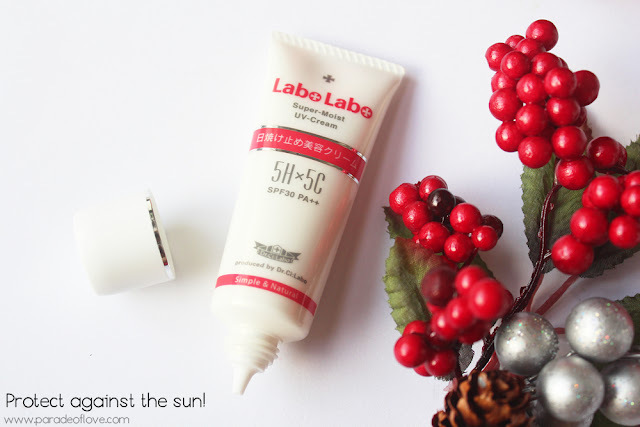 Labo Labo is Dr.Ci:Labo’s sister brand developed by a group of certified Japanese dermatologists and their products are entirely made in Japan. That already tells you something about the quality. 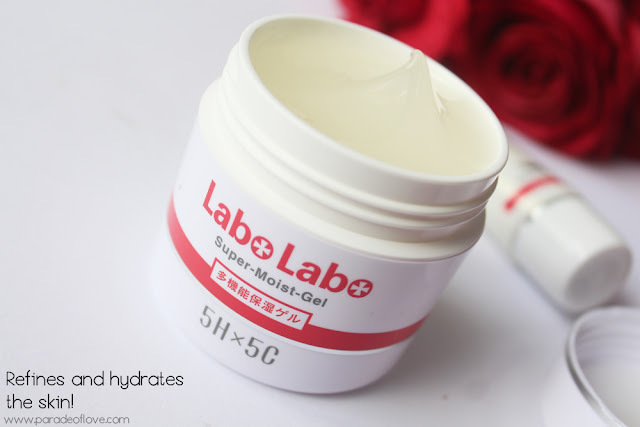 I’ve been trying out the Labo Labo 5Hx5C Super Moist skincare range which hydrates and makes my skin feel supple and bouncy! There are four products in this range, namely a cleanser, toner, gel cream as well as a UV lotion. What I like about the products are that they generally gets absorbed into the skin very quickly and are almost scentless, except the gel cream. They are free from irritants, have no artificial colouring, mineral oil nor paraben either, which makes it much safer for skin use. Shall we head straight into talking about the cleanser first? The first step of any skincare step is to thoroughly cleanse! 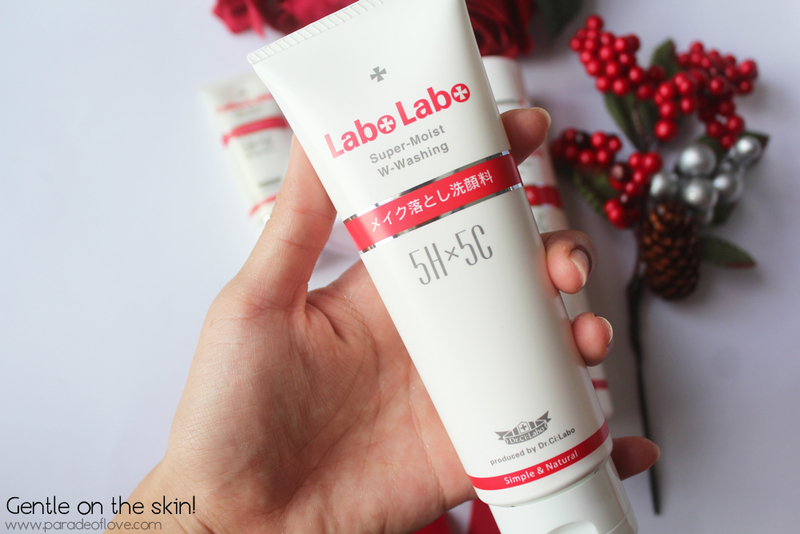 The Labo Labo 5Hx5C Super Moist W-Washing aims to do not just that, but also to hydrate your skin while cleansing! 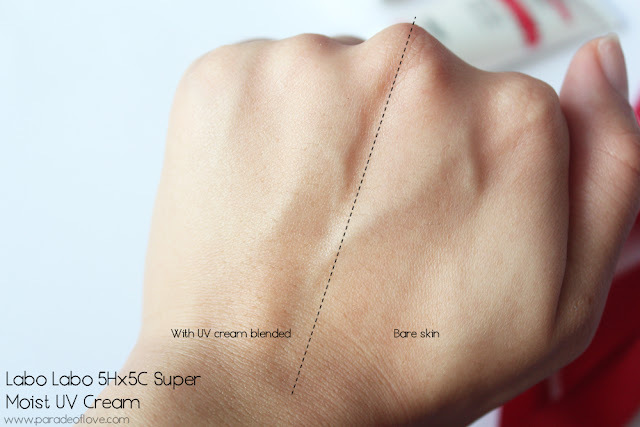 If you’re wondering (which I did initially), 5Hx5C stands for 5 types of Hyaluronic acids and 5 types of Collagen. The range is dedicated to really moisturise and hydrate your skin while being optimal to fight the first signs of skin ageing! Back to the cleanser. It is essentially a foaming cleanser that combines “makeup removal” and “facial wash” into 1 step! I use this mainly as a cleanser after makeup removal instead of relying on it because I always want to ensure that the skin is thoroughly stripped of all the makeup reside before cleansing! 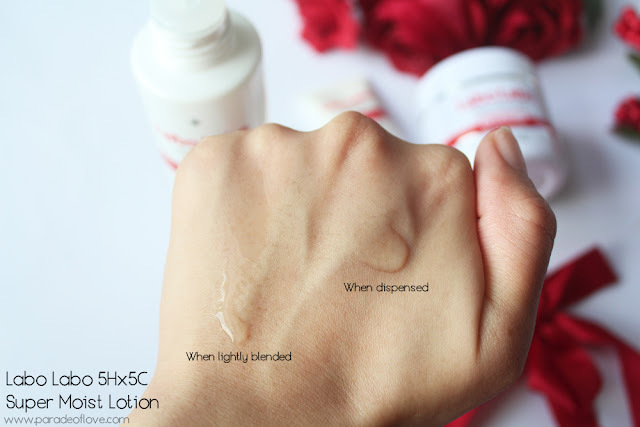 With the makeup removal function, it will help in removing the remaining stubborn gunk! With plant-based soap as the main ingredient, this product also contains amino acid cleaning ingredients and is very gentle on the skin. With cleansing comes toning! 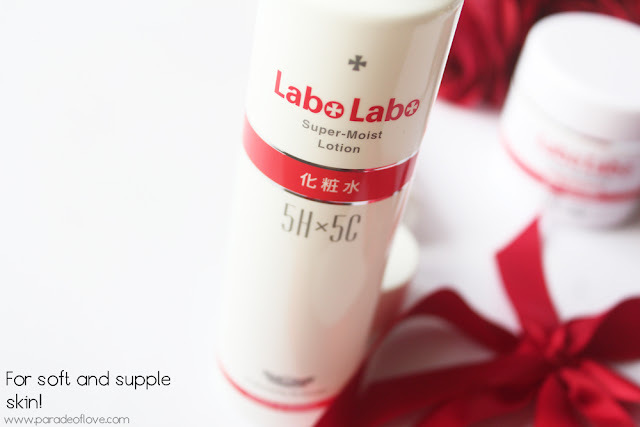 The Labo Labo 5Hx5C Super Moist Lotion is super light in texture, thus, permeates the skin very quickly, making it pliable and increasing the penetration of the other skincare products into the skin layer. It comes in a typical toner bottle with a flat top and a small hole as opening. Simply use a cotton pad to apply onto your skin and you may also find that the toner helps in removing the dirt and residue on the skin! 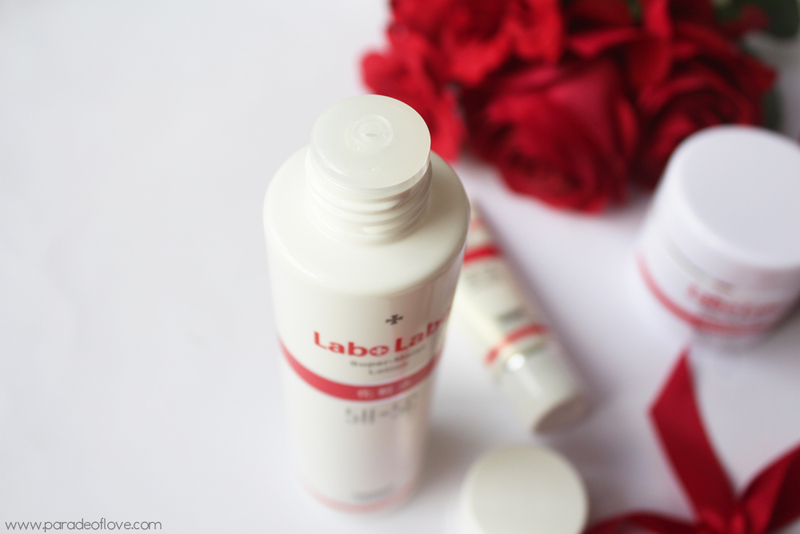 What I love about this toner is that it is very hydrating yet odourless! It feels just like water on the skin! This is another interesting multi-function product. Skip the steps if you’re lazy! Complete 5 steps with this one particular product. It acts as a lotion, essence, brightening agent, moisturiser and WHAT?! A makeup base?! Cool isn’t it? This single product will leave the skin refined, packed with elasticity and suppleness, making the skin ready for flawless makeup application! 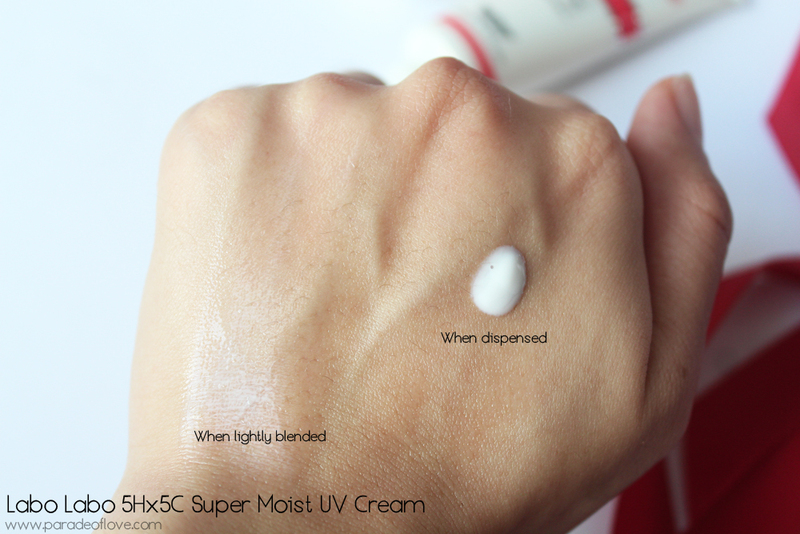 I like the gel-like texture which gets absorbed into the skin almost instantaneously. However, it takes a few more seconds for it to not feel sticky on the skin so do take note on that. Last but not least, always put on sunscreen before you head out in the day! The Labo Labo 5Hx5C Super Moist UV Cream is another product in the range that is super lightweight, and best of all, does not leave a white cast like regular sunscreens! The sunblock cream is rich in beauty ingredients that treat dryness on the skin and dark spots. It uses a micro-capsule ultraviolet absorber that is gentle on the skin and helps effectively protects the skin against damaging UV rays. Bear in mind that I’ve only tried this for two days as my skin is sensitive to sunscreen in general, thus I usually test all my sunscreens for two days because by the third, my skin would have red itchy rashes. Overall, for the price point, I did enjoy the products and I love that the range is especially moisturising. In terms of anti-ageing functions, you have to try them out for a much longer period to see the effects. Hurry check out the products as they are having 15% off in these selected Watsons stores until 20 April 2016! Disclaimer: Products were sent to me by Dr.Ci:Labo Singapore for consideration. The above review is based on my true and honest opinion without influence from others. It also contains information from the brand. This is a sponsored review. [GIVEAWAY ENDED] Win a Benefit Cosmetics Pret-A-Party Set!